At least with Hyper Light Drifter, we can stop asking. It’s finally here, and with it comes the good news that more exciting indie titles should arrive on Ninty’s hybrid, too. 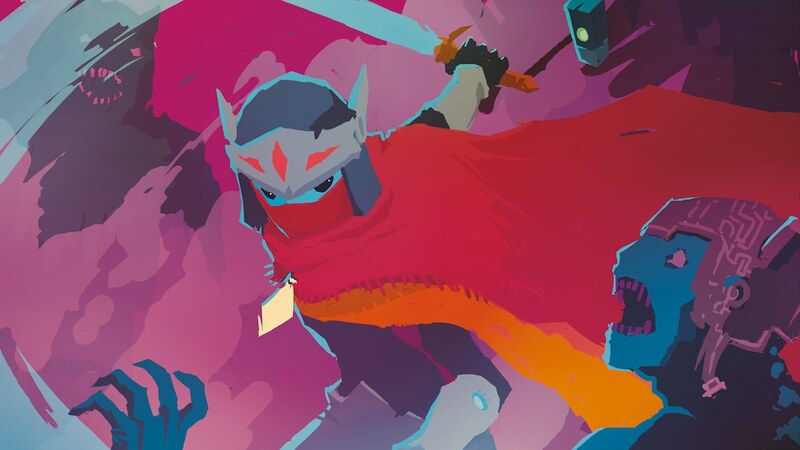 Developed with the popular and accessible GameMaker Studio development tool, Hyper Light Drifter: Special Edition’s release marks the occasion that GameMaker-produced games can now be ported to Nintendo Switch. Developer Heart Machine’s classic 2D action-RPG is a fine example of why it’s something to get excited about. Inspired by 8-bit and 16-bit The Legend of Zelda titles, it’s fitting that Hyper Light Drifter: Special Edition has made it onto Nintendo’s machine. And while we’ve seen plenty of Zelda-likes on Switch that differ in quality, Hyper Light Drifter: Special Edition truly is at the peak in terms of creativity. This is a captivating world like no other, so prepare to get lost in its atmosphere. Hyper Light Drifter: Special Edition says so much while barely uttering a word. Its unique, neon setting is instantly appealing, and the opening cinematic is so intriguing it’s hard not to get hooked. Cutscenes are reminiscent of SEGA Mega Drive classic Another World, and there’s a similar level of mystery. And with an incredible soundtrack that rivals the likes of Blade Runner, I’d be happy to have the game on Switch just so I can listen while walking to the shops. The gameplay is pretty straightforward. Collect Modules to unlock areas of the map, battle enemies on the way, and overcome the final boss. Combat moves quickly, and The Drifter has just a gun and sword in his arsenal (although abilities can be upgraded). You have a dash move that’s essential to avoid close-range and missile attacks from the surrounding enemies. Enemy types are rich and varied. Each has a pattern of attack which is easily learnt. For example, wolves will rush in at close range, and snipers will have to reload between shots, so understanding when to attack or dodge is key. Throw several enemy-types into the fray at once and you’re going to have to think quickly and move even faster. You’ll be challenged plenty, but with the option to select difficulty at the start of the game, various skill levels are catered to. The map is wide open, and it’s down to you which path you choose to travel. Starting in the town at the centre of the map, you can travel North, South, East or West, with each having a different theme. With no instruction, it’s down to you to find your way, and it’s not always clear. Certain pathways aren’t accessible until you unlock doors or have certain abilities. Because of the top-down view, trees and scenery can obscure pathways completely, and you’d be forgiven for missing them entirely. With a lack of guidance, it can be frustrating and is a downside of Hyper Light Drifter: Special Edition’s open-ended nature. Sometimes you’re running around in circles, and it can be demotivating (but, of course, the guilty will always Google). The port plays near-identically to other platforms. However, on Switch I did notice some unique bugs. I had the music stop and start (or cut out entirely) a few times, which I’ve not seen elsewhere. It’s a real shame because you don’t want that loveliness interrupted. Hopefully, it gets patched, and in the past Heart Machine has been great in supporting and updating post-release.